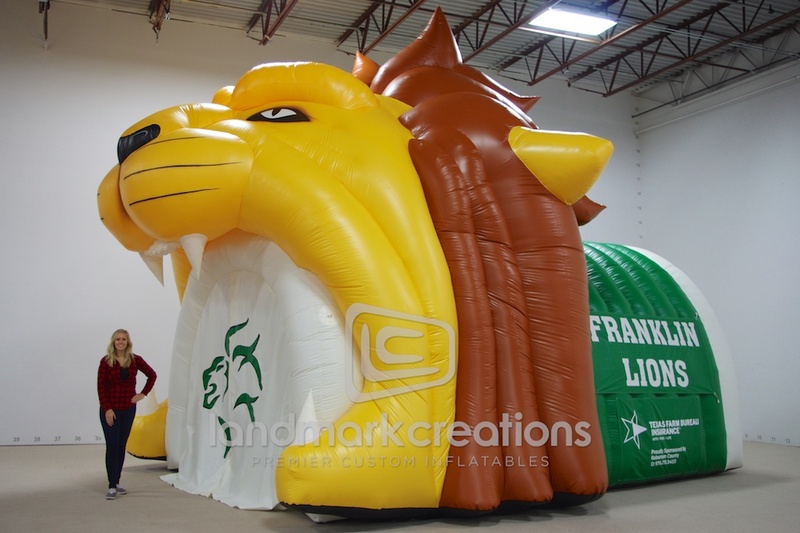 Franklin High School inflates this custom designed lion run through tunnel at football games. 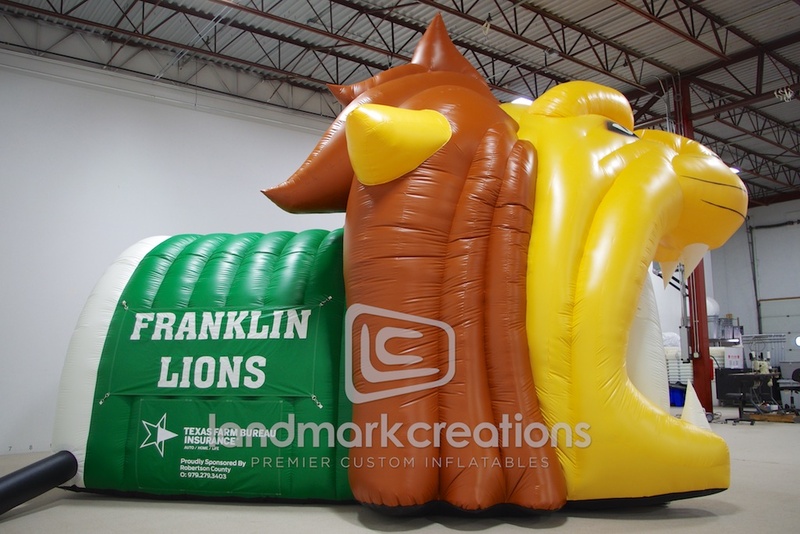 Added bonus: plenty of room for sponsorship banners. 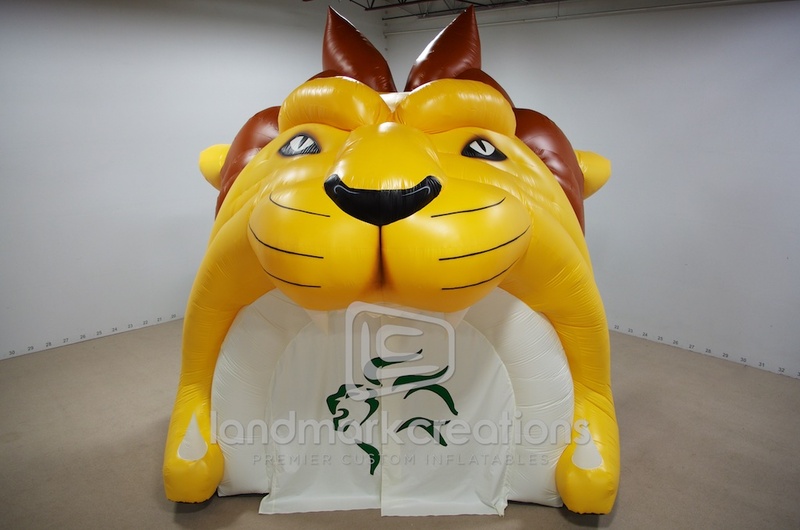 Pack DIMs: 30" x 40" x 48"